Uruguay is one of the smallest countries in South America, with a population of around 4 million, in recent years it has been attracting various foreign investment due to its reputation of being a safe and profitable country within the region. 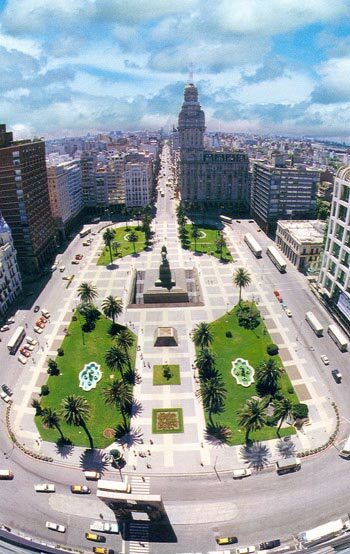 According to the World Bank survey for doing business, Uruguay ranks at 92 out of 189 countries. The country has benefited from having a free economy, that has placed an emphasis on the welfare state, creating a large educated workforce, this in combination with the governments pro-market policies have seen it emerge as the “The Switzerland of South America”. It’s stable progression in Latin America, has made it a stand out destination for foreign investors, with its success as a balanced society, having a high capita income, low poverty and absences of extreme poverty due to its emphasis on the countries welfare system. According to the United Nations Human Development Index and the Economic Freedom index it has one of the highest ratings in the world on several measures of well-being. The countries continual stability and belief in the government and its institutions have led to low levels of corruption resulting in a strong trust between the government and the citizens, according to the World Bank’s Human Development Index, the country has the highest level of equal opportunity access to basic services such as education, clean water, electricity and sanitation. The former left president, a simple man that choose to stay on his farm instead of the presidential palace reflects the nature of the country and its emphasis on welfare. Jose Mujica, a former urban guerilla fighter was elected in 2010 and ended his 5-year presidential term. In his time, he had actively introduced pragmatic economic policies that favor business and foreign investment. The current president, Tabaré Vázquez, a cancer doctor seeks to employ in his reign the same principals of his predecessor. The future is in good hands and Uruguay will continue to flourish making it an important strategic destination in Latin America to invest in. Uruguay is part of MERCOSAUR and has various trade agreement with other nations providing a large base of potential business and is an ideal strategic location for setting up a regional business. Creation of free trade zones including a free trade port. If you are interested in setting up a company in Uruguay (click link). Healy Consultants Group PLC will be pleased to assist you to set up a company in Uruguay and anywhere else in the world. « Why investing in India now could be profitable to your business?